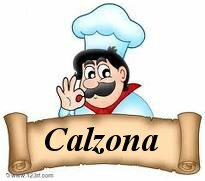 George and I often went to a local Italian restaurant in Westlake, Ohio, called the Elzona. And as you can imagine, from watching Seinfeld, George always ordered the Meatball Calzone. I never paid much attention at the time but when I see that episode it makes me laugh. Author’s note – George preferred meatball calzones to eggplant calzones. Georgie really did like his “Meatball Calzone” awesome!!! George and I knew each other for 20 years, starting in the same kindergarten class, and had parents who worked in the same (but competing) shipping business. I wrote him 3 letters in 2007 when I realized he was ill, and later edited and incorporated them in a book I finished earlier this year. I could send a copy of the chapter (17 page’s) he’s in to Mary Jane Schriner if she wishes – but to where?